Curly in the City: do you? Vest it? I could definitely work both into my fall outfits, but then again, I've never really been a fur person. Not because of the whole fur/animal rights issue, but because I never thought that I could pull the look off. At $34 and $58 for each, it wouldn't really break my bank to try one out. 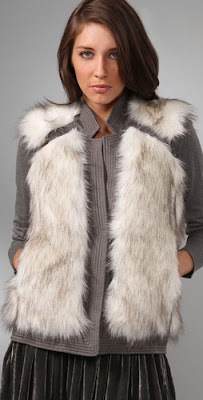 i love the third one, too...i love fur vests but haven't found the "right one" yet! I am a fan of the second and third vest. The third you definitely could wear with EVERYthing! I love the look, and it is really comfy. 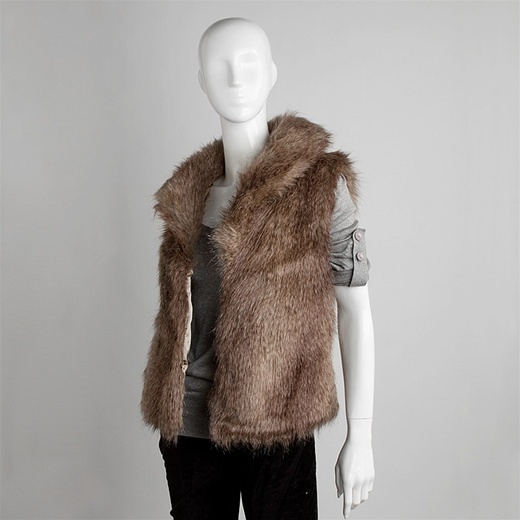 However, I went into Cusp yesterday and they had a rack of fur vests and it had me tempted because some of it felt so wonderful. I'm all about texture and I could see myself running my hands all over it during the day, lol. YES! I really love the fur vest look. If I could find one that I love, I'll definitely get one! I thought about this trend too but if I get one, it would have to be jsut right. I think I like the third one, though the forever 21 version is really cute too. I'm in the middle, I haven't made up my mind yet. I'm all about vesting it! The BB Dakota and Rebecca Taylor are my faves. i'm not a vest person - but i'm loven' some of them this season - espcially the last one u shown - that's faux?! - i all about faux fur, the real thing give me the creeps! .. cute blog babycakes! PS PASS IT ON --> GIVE-AWAY going on – 2 necklaces = 2 winners .. LAST day to ENTER!!! I am just really against the vest movement. It serves no purpose, maybe I am being critical, but it will not keep you warm when the temps start to drop. oh I'm a huge fan! I say VEST! I love the second and third one! I'm absolutely going to vest up this winter, I just bought a black faux fur! Honey I have three of them. I'm a wreck. Get the F21 cream tiered one!! It is BEAUTIFUL!! Looooove it. There are a ton of cute options out now too.